Lizabeth Scott at the beach, 1953. Photos by Mal Bulloch. Lizabeth Scott by Bud Fraker! 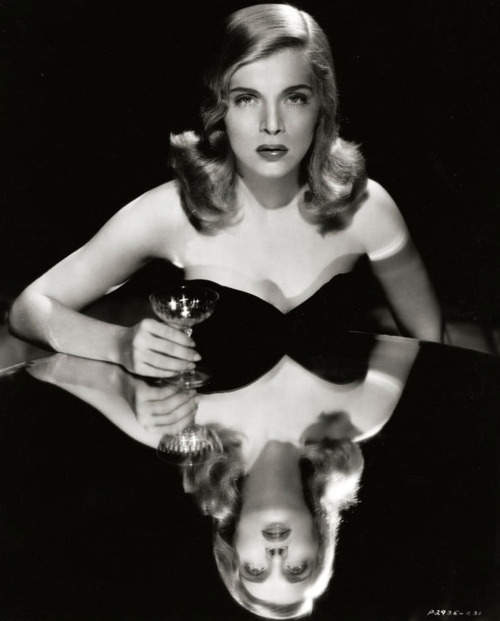 Lizabeth Scott was always compared to Lauren Bacall. She starred in The Strange Love of Martha Ivers (1946), Dead Reckoning (1947) and Desert Fury (1947) among many great films. Hope this will inspire you to rediscover her work! This is our favorite portrait of Lizabeth Scott by Bud Fraker in 1945! More on Facebook! Posted on January 4, 2014 December 25, 2013 Categories JanuaryTags 1945, Bud Fraker, Lizabeth Scott, The Strange Loves of Martha IversLeave a comment on Lizabeth Scott by Bud Fraker!